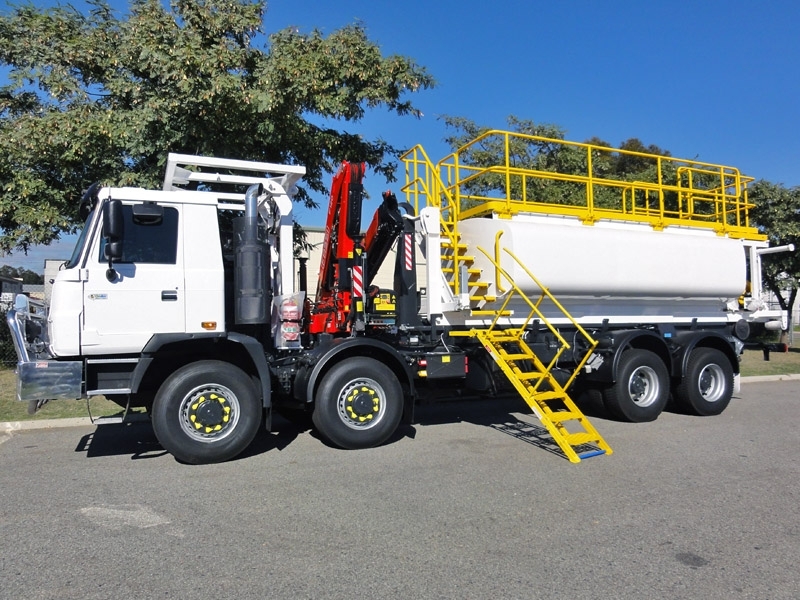 We would like to acknowledge Larry Gill and all of his staff, for the outstanding support and service they have provided over the last 12 months, with assisting JSW Australia to introduce the Tatra Hook trucks to our fleet. JSW's Managing Director, Jeff Branson, realized the potential that hook-trucks could have on reducing costs and providing a safer working environment. After initial discussions, Larry suggested JSW look at the Tatra 8x8 off-road truck, as the features of this truck are better suited to the environment that JSW predominately work in. We discussed the original concept of having multiple modules to cover the existing five trucks necessary to support the drill rig. Larry advised JSW, that Tatra Off-Road Trucks can provide all design and manufacturing of all the modules required through external providers in the Czech Republic. The next phase of design involved flying of key personnel and engineers from the Czech Republic out to Australia to meet with JSW to discuss the build requirements and the environments that JSW will be utilizing the modules in. JSW initially place an order for three 8x8 TATRA trucks with five purpose design and built support modules per truck. After JSW took delivery of the first Tatra truck, Larry supplied full commissioning and servicing, allowing JSW to continue with our operations. With the overwhelming success of the initial TATRA trucks, JSW opted to place an order for a further three Hook-Trucks and modules to complement the rest of our Water Well drill fleet. JSW are the first drilling contractor in Australia to utilize this innovative design, predominately for our Water Well division for various clients, including Rio Tinto. The 8x8 TATRA hook truck is designed to quickly and efficiently hook on and off individual modules, removing the necessity of having multiple trucks onsite to fulfill the same task. 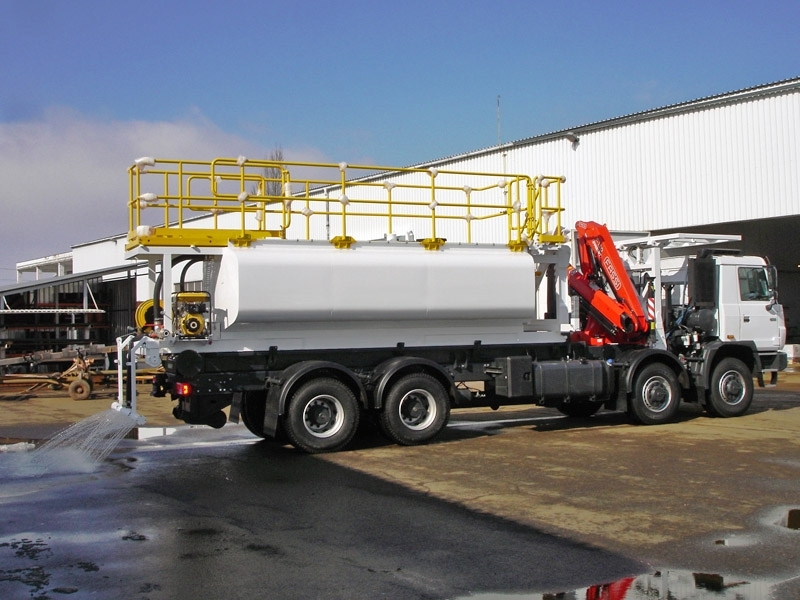 The hook truck comes fitted with a crane, and service, water, and tray modules. Some of the significant advantages provided by this design include. 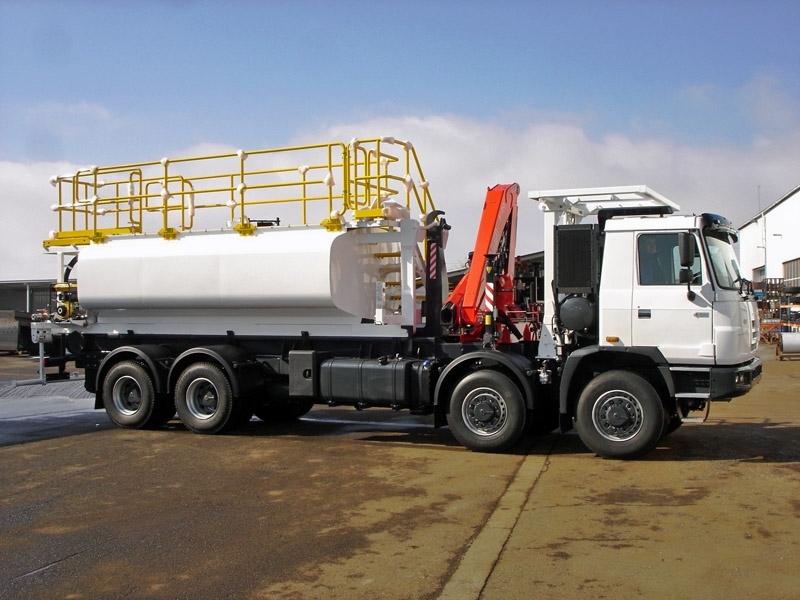 One truck to cover all facets of the drilling Scope of Works, including service (fuel & lubes), water, rod carrying, ground support trays etc. Modules are able to be left at the drill location reducing mine traffic, particularly around high use congested areas such as pit ramps and heavy haul routes, reducing potential for vehicle interactions, and interference with the haul truck operations. High capacity modules ensure equipment supply is able to be maintained for a period of days without requiring refilling. Reduced cost as repairs and maintenance and spares only required for one item of plant rather than several. Water module can be utilized for dust suppression around drill work areas, minimizing personnel exposure to potentially dangerous airborne fibres. 8x8 capability ensures vehicle is "all terrain" and able to safely operate when inclement weather affects mine road conditions. Offers maximum utilization of plant rather than having high capital assets effectively on standby at the drill location (e.g. a water truck sitting at the drill site). Eliminates working at heights issues, as all modules can be brought to ground level prior to accessing. Reduces the amount of training required for personnel, as opposed to operating with several different heavy vehicles onsite. 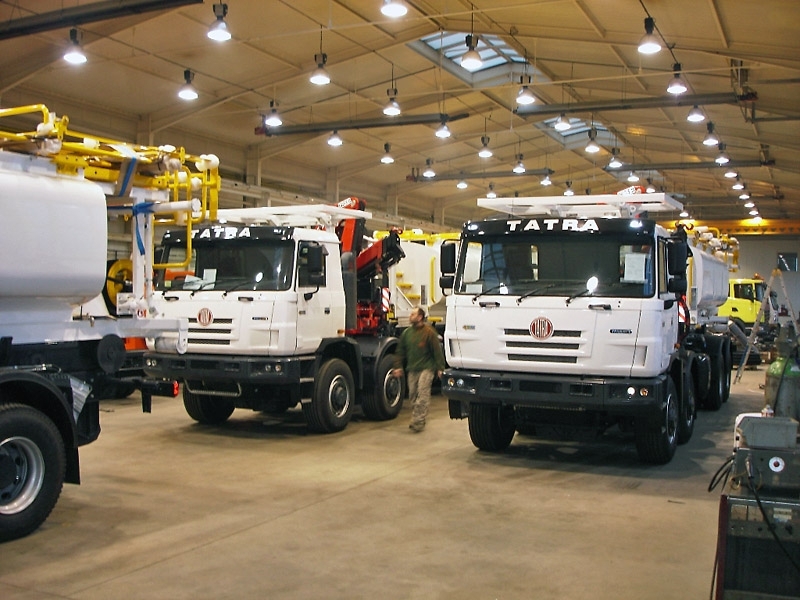 We cannot thank Larry and the staff of Tatra Off Road Trucks enough, for their support from concept through to design, delivery and commissioning of these trucks. We wish Larry and all the staff at Tatra Off Road Trucks all the best in the future and look forward to their continued support.